In the past few months, wannabe online video stars have filmed themselves doing a suicide bomb “prank” at college and spreading a fake rumor about a mass shooting at a Disney resort. They have also landed themselves in court for things as varied as feeding toothpaste-filled Oreos to a homeless man and shooting their significant other through a book in a stunt gone hopelessly wrong. Well, here’s something perhaps significantly less likely to earn a visit from the cops, but which falls somewhere in the same ballpark as far as reminders that just because you can do something stupid for internet points doesn’t mean you should go. A driver for Uber and Lyft in St. Louis has been live-streaming passengers, often without their knowledge or consent, to a Twitch account, the St. Louis Post-Dispatch wrote this week. Passengers have included children, drunk college students and unwitting public figures such as a KSDK reporter and Jerry Cantrell, lead guitarist with the band Alice in Chains. First names, and occasionally full names, are revealed. Homes are shown. Passengers have thrown up, kissed, talked trash about relatives and friends and complained about their bosses in Gargac’s truck. As of late Saturday evening eastern time, the JustSmurf channel has been made inaccessible. “I try to capture the natural interactions between myself and the passengers—what a Lyft and Uber ride actually is,” Gargac told the paper, adding that he has earned about $3,500 in subscriptions, donations, and tips from Twitch viewers on top of his $150-300 average per-night take. (Gargac now has 4,500 subscribers, and his venture seems to have been marginally profitable, since all the filming and networking equipment cost around $3,000). Gargac used to inform riders about the stream, but after concluding it felt “fake” and “produced,” opted instead to only inform them if they notice the cameras or his Twitch t-shirt, the Post-Dispatch wrote. However, few seemed to notice, and Gargac often told people the cameras were recording for safety purposes without mentioning the Twitch stream. A small sticker on the side passenger window does inform riders that “For security this vehicle is equipped with audio and visual recording devices. Consent given by entering vehicle,” though the Post-Dispatch also noted that it seemed to have been missed by virtually everyone climbing into Gargac’s car. ... Passengers from five different rides responded to inquiries from a reporter. None knew they had been livestreamed. They all said they would not have consented if they had known. ... “It’s dehumanizing,” one female passenger said. Ultimately, it’s hard to imagine anyone having a reaction other than fury to finding out they’ve been secretly put on the internet while having a conversation in a taxi. There may well be no reasonable expectation of privacy from the driver or other passengers, who can hear everything that’s going on. The same would apply to a lot of other places where others could be overheard talking, like bars, restaurants, trains, or the street. But try secretly filming in any of those places and see whether things take a turn for the south when the stars of your non-consensual cinéma vérité figure out what’s going on. Finally, the cherry on top of this mess is that Gargac asked for his name to be left out of the story because the internet is a “crazy place.” That might have been something to consider for the sake of his passengers! But hey, gotta win those internet points. 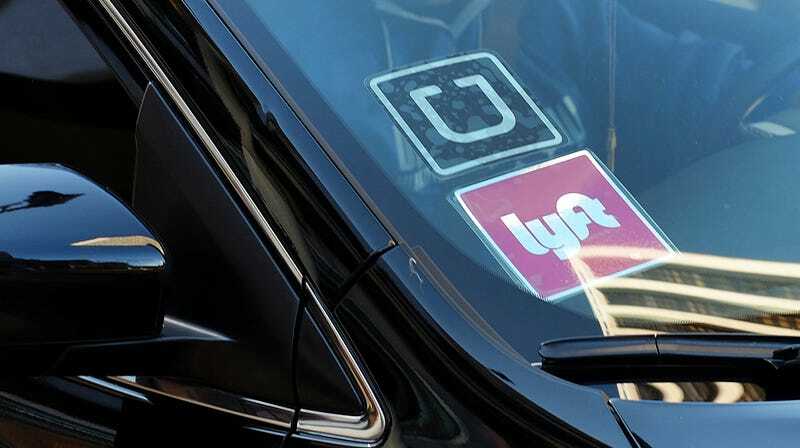 Update, July 22nd, 2018 at 6:30pm ET: According to the Post-Dispatch, both Uber and Lyft have now confirmed that Gargac is no longer a driver with either company. After this story was published, an Uber spokeswoman said the company suspended Gargac after reviewing his videos. Uber prohibits inappropriate or disrespectful behavior by drivers, including comments on appearance or sexual remarks, the statement said. Lyft also deactivated Gargac as a driver, a company spokesperson said in a statement early Sunday. In terms of the particular person, we do not comment on Terms of Service violations in regards to specific individuals. In regards to our policies, under our Community Guidelines and Terms of Service, we do not allow people to share content that invades others’ privacy. If reported to us by the person whose privacy was invaded, we would take action under our Community Guidelines to remove the content.